Cassette not stored in a case upon arrival, and case added on 09/05/14. 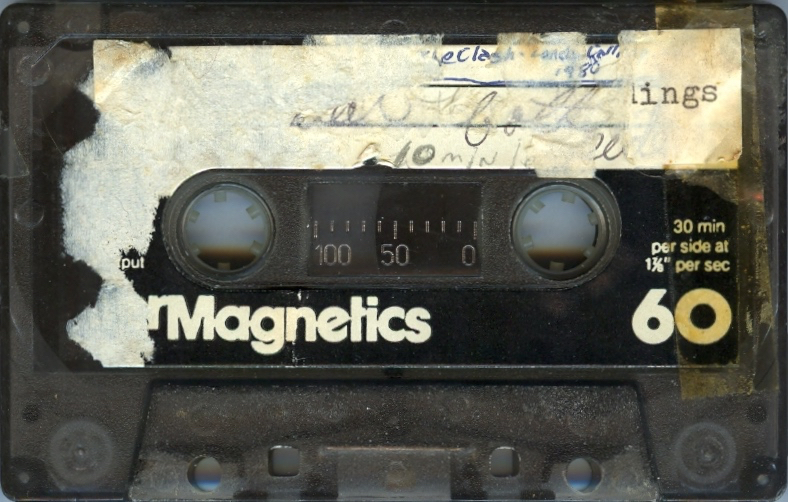 InterMagnetics brand 60 minute tape. 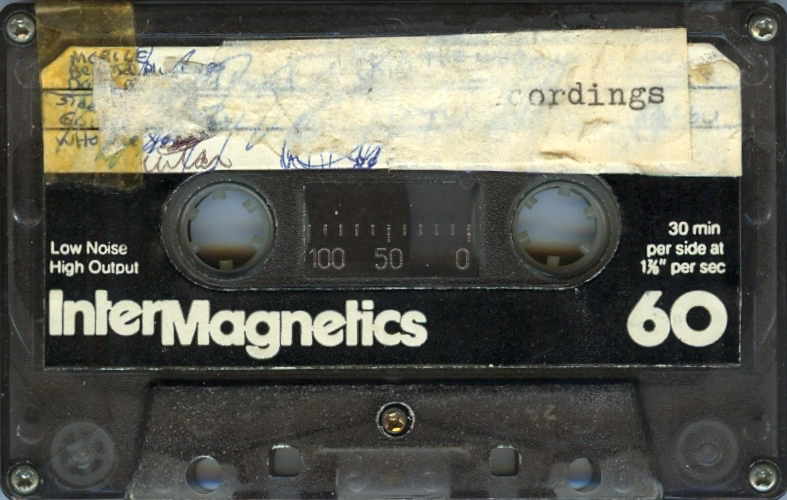 Cassette had both erasure safety tabs removed, but there was yellowed Scotch tape over the Side A tab hole (now removed).